Thames Valley Securitek Limited have been providing reliable and cost effective security solutions for over 20 years to homes and businesses in the South-East of England. Our satisfied customers, now numbering over 1,000, are the key to our success and constant growth. 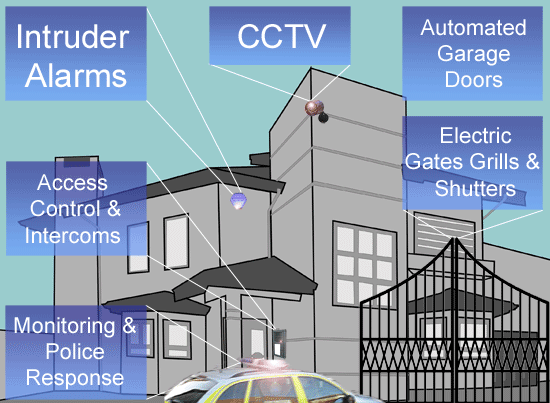 We provide a range of innovative and cutting edge security solutions for a variety of customers ranging from simple systems for the home to comprehensive solutions for business. Our team will take care of your requirements every step of the way, from initial consultation through to installation and ongoing maintenance and support. Whether you need: alarm systems; CCTV; electric gates, fire alarms or access control we can offer 360 degree protection - guaranteed.